Two months later, has Netflix managed to seduce the French? “ING Direct?” It sounded complex, limiting, elitist, and the ING part made it scream suits, ties, and all the bureaucracy in between. ….then Tangerine happened. The new name and logo can be associated with positive energy and positive feelings all around. And after all, who doesn’t like tangerines? The rebrand from ING Direct to Tangerine has now entered its official launch, and all the covers have been pulled off revealing Tangerine’s new brand identity. Where was the problem with ING Direct? Well, after operating under the ING Group brand and management for 16 years, it was time to consider the needs of a rapidly changing banking industry, where consumers need banking services to be more accessible, quicker, and cheaper. With the name comes a new set of brand values that Tangerine will carry. Expect Tangerine to become more consumer oriented, while offering simpler services through more innovative means that none of the Big 5 have ever considered. With the rebrand comes an ownership change (which actually forced the rebrand to happen in the first place), as ING Group cuts their ties with the bank and Scotiabank gains full ownership since their initial acquisition in 2012. Also, expect Tangerine to be the consumer testing ground for Scotiabank, which will act as the perfect place for Scotiabank to test out new products, services, and all the other things that banks do. Regardless of whether they had lost or gained market share with the rebrand, it’s a direction that they needed to take to compete in an industry that is losing consumer trust. 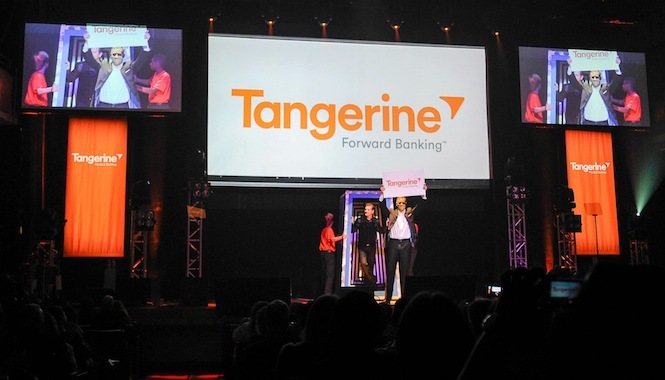 As a matter of fact, Tangerine may be the first Canadian bank to understand what customers really want from a banking system of tomorrow. ← Two months later, has Netflix managed to seduce the French? Copyright 2013 Michael Cacho / Posted media is the respective Copyright of the brands referred to herein.